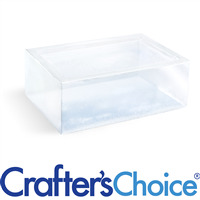 Crafter’s Choice Clear Melt and Pour Glycerin Soap Bases are popular for soapmaking because of their clarity. Colors turn out vibrant in these soap bases, and the soap is transparent. Crafter’s Choice makes Basic, Detergent Free, Premium, and Signature varieties to suit an assortment of needs. 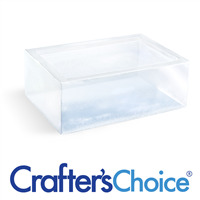 Use Signature Crystal Clear Soap for the best transparency in soaps with embeds or if using embed paper.